For many years now there has been a great debate as to whether or not projectors are a dying viewing medium. 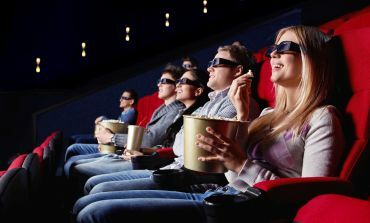 Even now, if you just go to your search engine, type “projectors”, and sort by news I am confident to say that you will see one or two articles that say something like: “Influencer’s Name can see the end of the projection industry”, or, “Projectors Still Shining Over Televisions – An Industry with a Bright Past and Brighter Future”. You might even see both of those opinions on the same search engine result page, I certainly have. This article will be highlighting some of the key points in both sides of the argument to help you gain a better understanding of the future of projectors, and whether or not it’s likely for event planners to switch from projector rentals to TV solutions anytime soon. 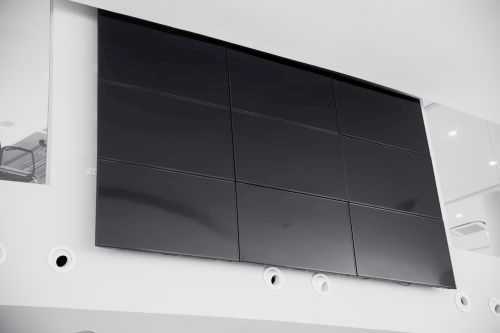 LCD walls and LED television displays are becoming much easier to afford, and image quality on TV screens is better than it has ever been with most, if not all, television companies trying to produce more and more ultra-high definition 4K resolution displays. This is one of the two main areas where projectors have significantly fallen behind, and everyone who has made the argument that projectors will not be around ten years in the future knows this. The second area where projectors have fallen behind in is light output. Simply put, if you have a television and a projector that are around the same price, the television will be able to produce more light than a projector in most scenarios. 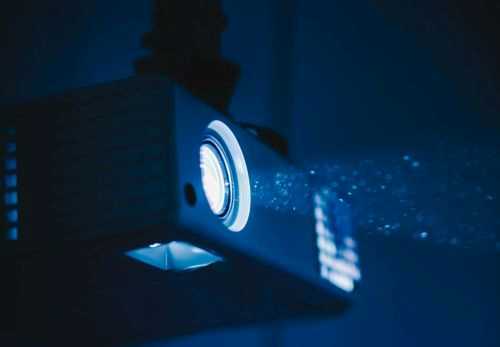 Dimming the lights when watching movies or shows on a television is an optional thing people do to set the mood, but dimming the lights for some projectors is just par the course for actually being able to see what is being projected. Finally onto the positive, let’s start with the big one: getting a large venue projector rental (or even buying a projector) is far cheaper than renting a large amount of televisions or a dozen video walls. 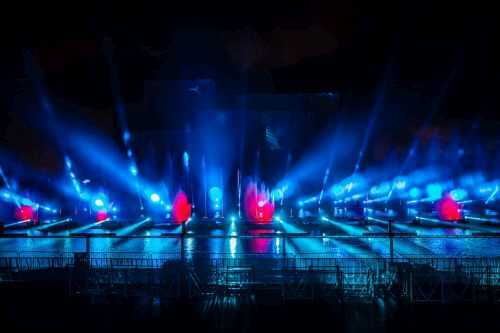 High-lumen projectors are still currently more cost efficient at creating an image over a large canvas-covered area than a large array of televisions occupying the same space. 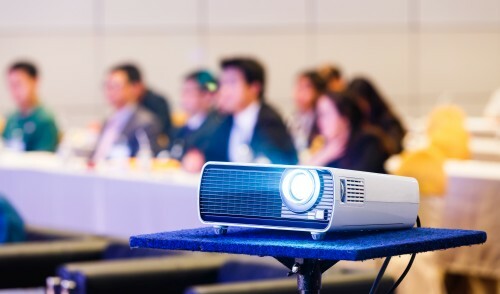 Another factor to consider is that projectors still dominate a unique market familiar to performers and event planners. Projectors are still the most viable display option for images that require 3D mapping, such as the “hologram” of Tupac Shakur that appeared at Coachella in 2012. While 3D image production is a very niche market, it is still substantial enough that on its own this field could keep projectors alive and kicking for the foreseeable future. While televisions are getting higher quality resolutions and cheaper to produce, so too are projectors, and currently projectors are already the most affordable AV option for people who need large displays. Televisions may now be cutting into the market shares of projector companies, but projectors aren’t going anywhere anytime soon. Whether you need a large venue projector for a lecture hall, meeting room, church, or summer camp, there’s an Epson projector that’s perfect for your specific application. Epson’s industry-leading projectors are designed to deliver exceptional performance and high-quality imaging with features such as instant start-up, panoramic 360-degree projection, and the ability to project rich, crisp colors on both flat and curved surfaces. Every Epson projector in their large-venue lineup also comes standard with Epson’s unbeatable 3-year/20,000 hour warranty. The HDBaseT technology makes installation easy and intuitive by enabling up to 300 feet of cable to be used without the need for an additional signal repeater, and with imaging quality that’s better than Full HD, every single detail can be seen without any distortion or loss of color quality. Ideal for high-use indoor environments such as auditoriums, religious buildings, retail stores, and large meeting rooms, the Epson Pro G Series is built to deliver worry-free performance. Integrated speakers are also standard of every Epson projector in the Pro G Series. Each model is compatible with auxiliary lenses, and there are seven models in this series that are also wireless compatible. The Epson Pro Z Series combines the convenience of a portable high lumen projector with features that are typically found in larger, fixed-mount projectors to create a lineup of high-definition projectors that provide exceptional image quality with both interior and exterior projection projects. Epson Pro Z Series projectors can also be stacked to deliver double the brightness and deliver amazing, 3-D style presentations. For the ultimate in performance and professional-grade image quality, choose a high lumen projector from Epson’s Pro L Series. Each large venue projector in this lineup comes equipped with a long-life laser light source that delivers exceptionally stunning results when projecting either still images or high-definition videos, and with color brightness (lumen) ratings ranging from 6,000 right up to 25,000, there’s an Epson Pro L Series high lumen projector to meet the needs of even the most demanding applications. These large venue projectors are also fully compatible with the iProjection app, and features such as a microphone input, dual RCA audio, wireless controls and USB plug-and-play are available on select models. Running a large event these days can be quite the operation. Not only do you have to set up space, find a good time, invite your guests, and contact catering, you also have to figure out the increasingly complicated IT side of things. We’re here to help. We know that projector technology can be complex and expensive to buy and operate for large events. That’s why our projector rental service aims to provide an affordable, scalable turn-key solution for your event rental needs. Large events require large projections. 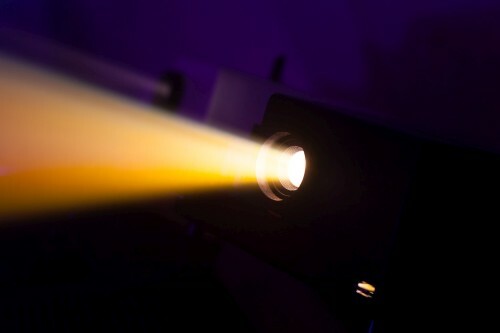 Such venues as conference centers and theaters generally create problems for regular projectors. 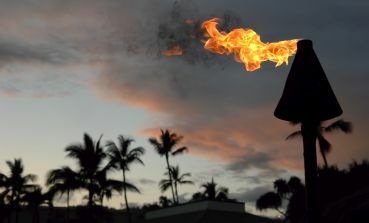 Outdoor venues are especially tough, requiring a very bright projector with a high-quality lens and projection screen. That’s because there is environmental lighting competing with the projection. These special configurations are our specialty. We provide projector rentals for large events such as regional conferences, corporate meetings, awards, galas, and banquets. We can help you choose what kind of projector, screen, and other AV equipment best meets your needs. We have heavily invested in our state of the art equipment to serve your event. Our projectors range from a couple of thousand lumens of brightness to over 10 thousand lumens, which can be used to display video, slideshows, still image, logos and graphics, or any other kind of presentation. In addition to our signature projector rental service, we provide other audio-visual equipment rentals including speaker systems, video walls, huge TVs, monitors, and other visual aids for presentations, concerts, movie nights, stage projections, and more. We aim to be your one-stop solution for audio-visual rental needs. Don’t be disappointed when the expensive projector you purchased fails to display your media in an acceptable fashion. Instead of wasting precious time adjusting the technology to display properly, reading through jargon-filled online manuals, and pulling your hair out, let us help! We have years of experience and expertise in projector technology which we apply to determine your needs and provide end-to-end projector services for your large event, allowing you to focus on the other important aspects of running a successful event. The more time you spend on those areas, the better your conference will be. Large event tech is difficult. Have you ever been at a presentation when the visual displays are fuzzy and you can’t tell what is on the screen, or the audio is so poor you can’t hear a word being said? That is not only unprofessional, it undermines the entire event! We’ll set up the technology so it fits the actual needs of your event space and enhances your presentation. You simply cannot handle everything yourself as an event coordinator. Highly technical aspects of the event, such as audio and visual technology, should be trusted to our experts. We know that event management means juggling a daunting number of responsibilities and fighting against the clock. Producing a successful event requires collaboration and partnership. Our service is designed to provide a helping hand. We save you money otherwise spent on acquiring expensive new equipment just for one large event. We save you the time and hassle of setting up complex audio-visual systems. We eliminate the risk of staff damaging the projector or lens and having to replace expensive projector bulbs or worrying about the transport of fragile, expensive equipment. Let us save you some valuable time. Our projector rentals are perfect for your large events and can let you focus your energies on the countless other things that will make your next large event a true success. Call us today at 888-736-8301 to learn more about our projector and AV equipment rental services! The Sony Xperia Touch has finally hit the shelf in the United Kingdom and other European countries, and it is still scheduled for release in the United States. The Xperia Touch currently carries a pretty hefty price tag, as it is currently selling at £1,299.99/€1499, which is twenty dollars short of or five dollars over $1700 depending on which currency you are converting from. 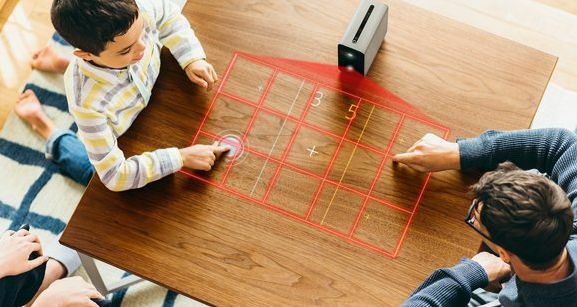 The high price point will probably deter many consumers for buying this as a product to use around the house, but the Xperia Touch is actually a projector which could make for a good business projector rental. So, why is the Xperia Touch so expensive? First let’s look at what is under the hood of the Xperia Touch. The Xperia Touch isn’t the most portable projector in the world, but there’s good reason for that. The Touch comes equipped with the Android 7.0 Nougat operating system, a 32 gigabyte storage, and 3 gigabytes of RAM. The touch also has built-in Wifi and bluetooth compatibility and a micro (Type D) HDMI port. Another thing which may contribute to the high price point of the Xperia touch is the amount of sensors the device has. According to Sony’s website, the touch has a GPS, gyroscope, barometer, humidity detector, movement sensor, ambient light detector, accelerometer and a temperature detector. The Xperia Touch is also pretty impressive in terms of display and touch registration (unless you are currently planning on using the gesture mode, don’t). The Xperia touch is capable of projecting a clear display even in regularly lit rooms, and the display has a variety of sizes – from 23 to 80 inches. 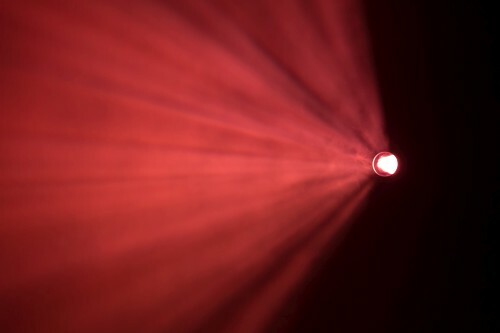 The projector is capable of detecting up to ten inputs (fingers) on the projected image, but the detection will require your projector to be closer to the surface you are projecting on in order for it to register properly. The Xperia Touch is not “ultra-portable”, but it is lighter weight than a lot of laptops and is much more portable than standard projectors are. The Xperia Touch would be a good projector choice if you needed something which you could carry with you to a small sized business meeting or even over to a friend’s house just to watch movies. Although, the battery life of the projector is pretty lackluster, so if you are planning on using your projector for a time period longer than an hour bring a charger. It is the beginning of February which means that Valentine’s Day is nigh upon us, and for those who are not in a relationship, discount chocolate day is just one more day of waiting. However, if you are in a relationship you’re probably currently experiencing the hardest part of Valentine’s Day: planning how to celebrate it. 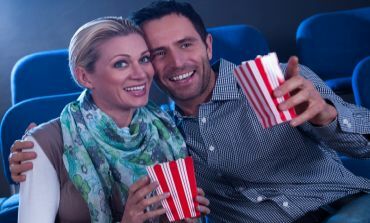 If you’re struggling to find some good ideas, here are three ideas for what you can do on Valentine’s Day by getting a Valentine’s Day Projector Rental. 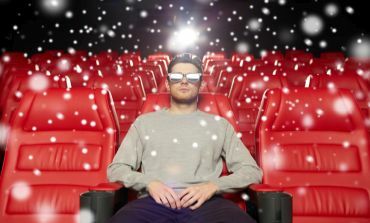 The reason that this suggestion is both indoor and outdoor is because that it’s the middle of winter, and if you live in Ohio or any other more northern State, it’s not unrealistic to be putting up with 20° temperatures and snow on Valentine’s Day, and those aren’t pleasant conditions for an outdoor movie night. 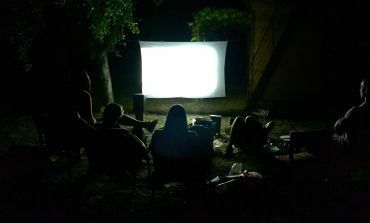 Getting a movie night projector rental is a fun way to mix up a standard movie night, as it makes the experience more like watching a movie at a drive-in instead of just watching TV like normal, and it makes the experience much more memorable. If you decide to go this route, don’t forget to pick up your favorite popcorn and sodas! Typically when you see the word party, it’s referring to more than just two people, but not this time! If you and your partner are both into gaming, you can surprise them by hooking up a projector with a gaming device and having a good old fashioned game night. A lot of more modern games are diverting from their split-screen origins when it comes to multiplayer, but there are still a lot of good games out on the market that have this feature, and playing almost any game cooperatively adds a whole lot of fun. Of course, if neither of you are that into gaming, you can pick up a dancing game, such as Dance Dance Revolution, and challenge each other to an ultimate dance off. If neither of these ideas float your boat you can always fall back to the movie night plan. If you’re a huge fan of paintings, you may just want to turn your house into a living art piece. There are a lot of cool visual sites out on the internet, and with a standard projector rental you can bring those sites to life in your living room. The great part is that there are both interactive and non-interactive sites that let you create and view amazing artwork, so if you want you can draw images to project with your partner, or you could both just enjoy a virtual art gallery brought to life in your home. The best thing about these ideas is that they can all be reasonably executed on Valentine’s Day itself, as all of these ideas can be a quick date night plan, that don’t require you to have an entire day without any schedule complications such as work. I hope these three ideas have helped you if you’ve been stuck in a planning rut. It has been ten years since phones have released equipped with touchscreens, and we have not stopped putting touch screens on our technology since then. Almost nothing is safe from being upgraded with a touch screen, even every-day household appliances, such as refrigerators and toilets, have seen touchscreen integration over the past few years. Once you find out that someone has upgraded a toilet with a touchscreen, it should be no surprise that projectors are not an exception to being upgraded with touchscreens. When it comes to making interaction possible with projectors through touch, the term “touch screen” is a little different from the traditional sense. Since standard projector rentals don’t usually have built in touchscreens inside of the actual projector, it would be more apt to call the technology I’m referencing “touch projection”. If you’ve been in a school or university classroom at any time in the last four or five years, there’s a good chance that you might have seen a projector with touch-screen technology at work in the form of an ENO board, which are extremely helpful for both teachers and students alike. So, how do touchscreen projectors work? As I mentioned in the above paragraph, projector touchscreens are a little different from normal touchscreens because most projectors require you to use styluses instead of your fingers. This technology is especially helpful for PowerPoint Presentation Projector Rentals, which is a main reason as to why ENO boards are so popular in environments relating to academia. 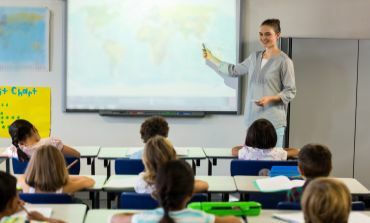 While it is more common to find projectors with styluses inside of a classroom or work related environment, it should be mentioned that touchscreen projectors are capable of being lightweight. With some touchscreen projectors coming in at only over half a pound, touchscreen projectors are on the road to being more and more common in personal projector use. 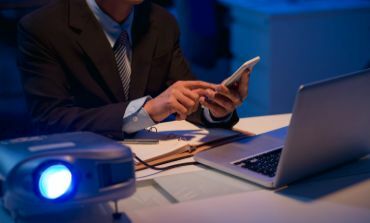 At the moment, the majority of touch screen projectors are used in work and schooling environments, but there are some smaller touchscreen projectors available on the market. 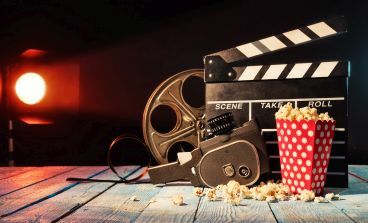 If you want a projector for something more along the line of personal use, perhaps for something like watching movies, you should probably just go with a DVD Projector Rental instead. Stylus projectors are not necessarily in style yet in the personal use market.